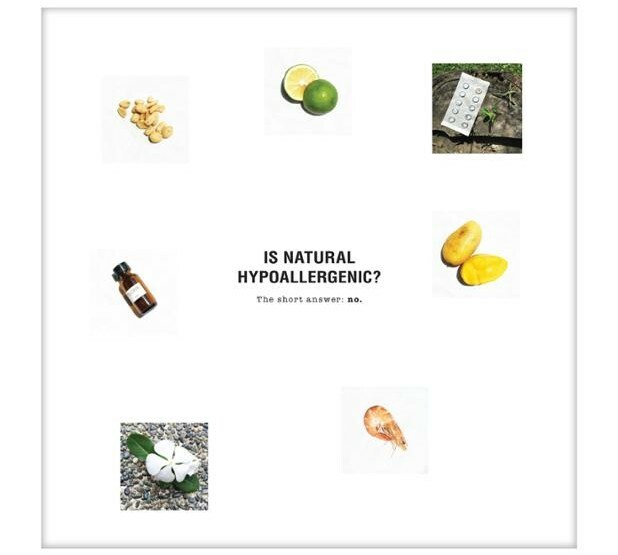 Note that, due to FDA requirements in different markets, your Skin Detox Kit may have some differences in content. Contact us if you need further assistance. At VMV Hypoallergenics, we have received less than 0.1% reports of reactions in over 30 years, and almost all of those reactions were due to us not being able to make recommendations based on one’s patch test results, incorrect use of the product, a cross reaction with another product, or an underlying irritation that might have been chronic but not yet obvious. 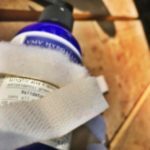 In these cases, a 7-Day Skin Fast normally (over 98% of the time) results in a clearing of the problem and the client’s ability to use the products without a reaction. 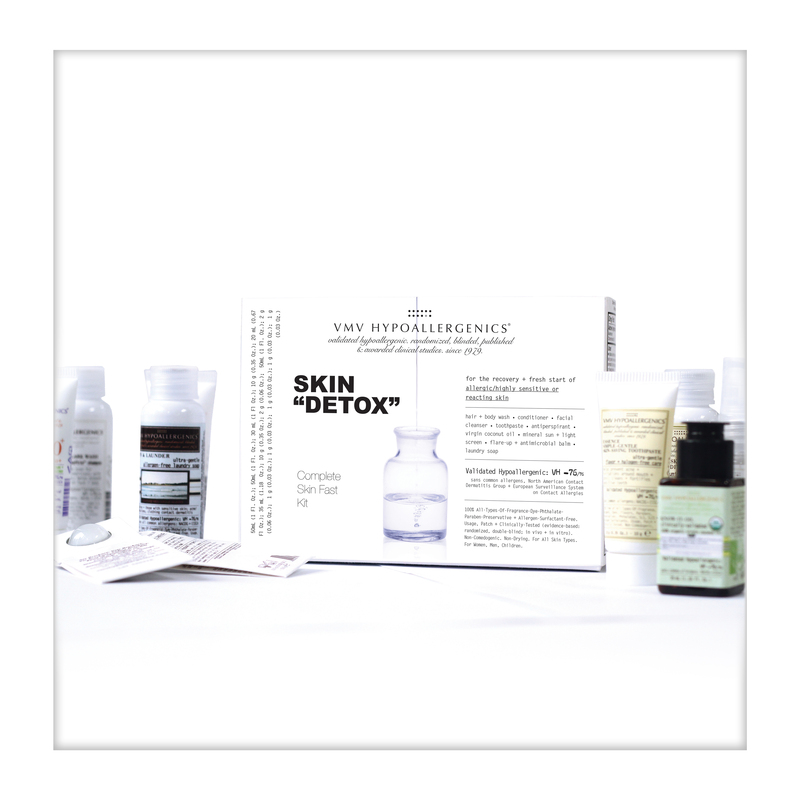 This process — similar to an elimination diet for food, but for skin — has been so successful for our clients for decades that we created our Skin “Detox” Kit to allow anyone to easily do a Skin Fast at home, any time. Why Should I Do A Skin Fast? A Skin Fast helps skin return to its most natural, non-irritated state. 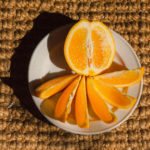 This can have several benefits (more on these below), including giving your skin a seasonal “reset.” As with all the body’s organs, our skin changes over time. Observing your skin in its natural state now may show you new dryness, for example, that can help you adjust your skincare regimen appropriately. Anyone, even someone who has never had problems using any product before, can develop a skin reaction. Reactions can include an allergic reaction, an irritation, hyperpigmentation (darkening), dryness, redness, itching, flaking, an acne breakout, or other symptoms. Anything applied on reacting skin can worsen the situation. A Skin Fast gives your skin a break from what might be causing the reaction (and other possible contaminants), allowing it to recover. Believe it or not, the cause of a reaction is not always (or even frequently!) the last product you applied. 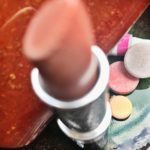 A product you’ve been using for a long time “without a problem” could actually have been causing an underlying irritation that was too subtle to notice, increasing your skin’s sensitivity over time until another product (even one you’re not actually allergic to) was the final straw — your skin couldn’t take any more and finally reacted. In food, a common way to help identify a sensitivity is an elimination diet. The Skin Fast works similarly, helping you (or your doctor) more accurately identify the trigger of your skin problem. 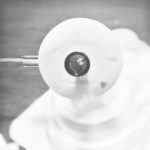 Note: While a Skin Fast can help identify a trigger, the most accurate way to identify which ingredients and other substances you are sensitive to is a patch test. If you have a history of sensitivity or stubborn skin problems, or a skin condition that is worsened by external stress, ask your doctor about a patch test (or photo-patch test, for hyperpigmentation). Many treatments (like active ingredients), clinical procedures (lasers and peels), and medications (chemotherapy, certain neurological drugs or even ibuprofen) can make the skin temporarily more problematic. It can develop acne or become drier, more sensitive and/or more photo-sensitive (more prone to sunburn, redness or darkening due to sun or indoor light exposure). Doing a Skin Fast after a procedure, or keeping your skin in a Skin Fast throughout therapy or recovery, can help increase comfort and decrease the risk further vulnerability or injury. Keeping skin in “detox” can also be helpful when skin is injured from a rash, flare-up, burn or other injury — it keeps the skin cared for very gently, so the skin is left unstressed and its cells can focus on rebuilding and healing. 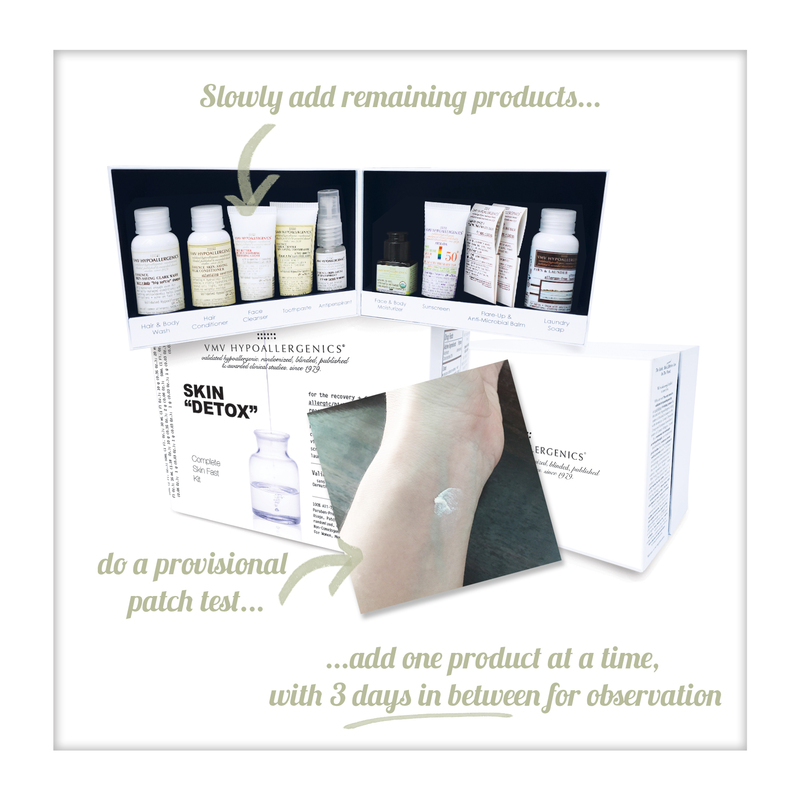 If you have a history of acne, darkening, irritations or other skin problems, or if you’ve just had a patch test, a Skin “Detox” is a very safe way to try new products. With skin in its most non-irritated state and with new products introduced in a very slow, controlled manner, you reduce the risk of reactions and increase your chances of finding products that you can safely use. For more on possible reasons for product reactions, and tips on how to avoid them, check out: Reactions: About, Allergic, Irritant, Sudden, Prevention, Using VMV & Other Products, etc..
Click through the slide show below for a step-by-step guide. Questions? Or want us to customize recommendations for you based on your patch test results? Contact us here or send us a Private Message on Facebook. ...and keep skin in a controlled environment. This product “fast” helps your skin recover and sets the stage for a process of elimination as you re-start your products. This can help you and your doctor identify the real culprit, which is not necessarily the last/newest thing you applied. It is important to use only the products specified below, and not to use substitutes that we do not manufacture, as we would have no way of knowing about their ingredients, the sources of those ingredients, and other factors such as whether the formulation was prepared in a container also used for mixing other products with allergens. Do not use any cleansers, soaps, toners, lotions, creams, makeup, sunscreens, etc. Any additional thing that you apply now may worsen the situation. 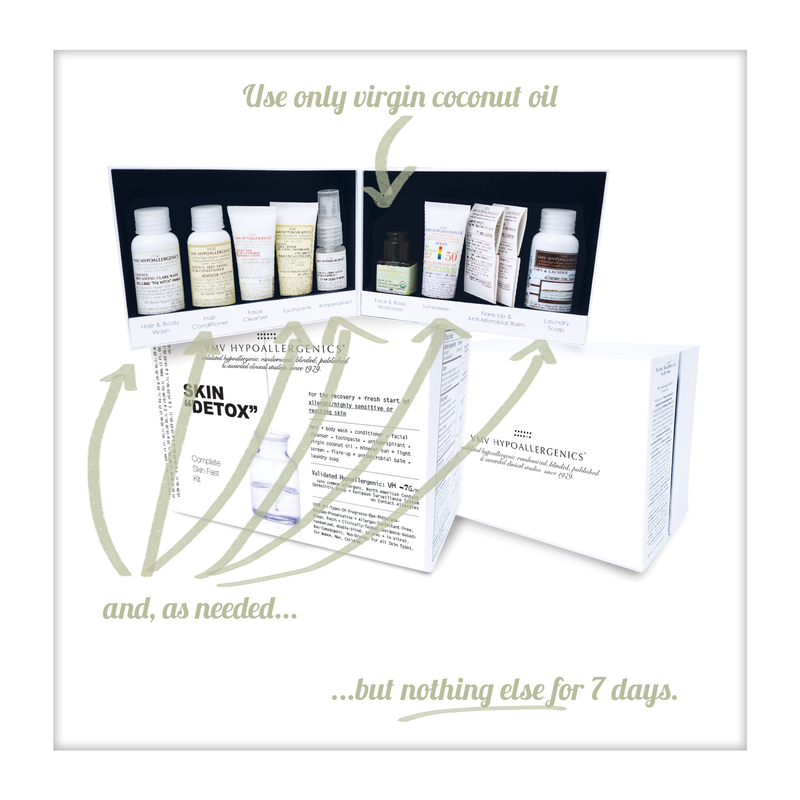 Use only pure virgin coconut oil (VCO) to cleanse your skin during these 7 days. Remember to stay out of the sun. Make sure that the VCO you use is, like Know-It-Oil or Oil's Well , free of preservatives, dyes, fragrances, flavors, and other additives. For added comfort, keep the VCO in the refrigerator , not the freezer. NOTE: The ideal is a total skin fast for as many of your needs as possible, including washing your hair. 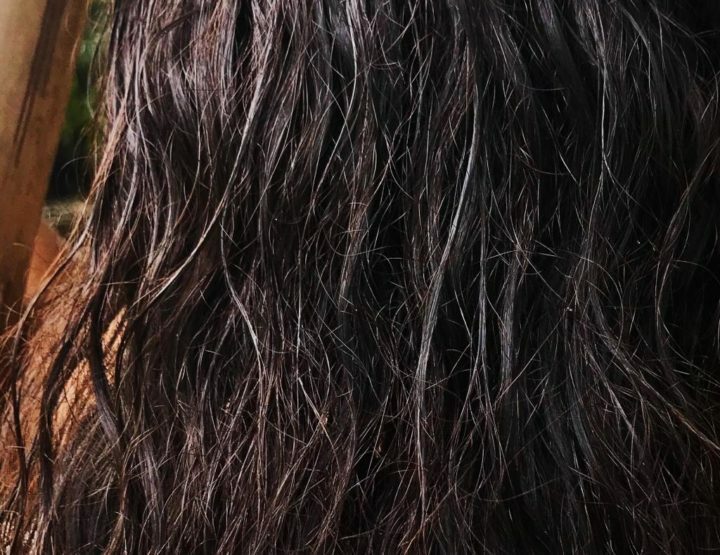 If you can tolerate it, not washing your hair for 7 days is ideal but even 4 days can be helpful. You can also use the VCO to clean your hair. 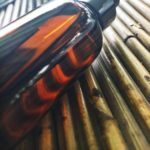 While it can leave hair oily-looking, it is cleansing and doubles as a deep-conditioning hair infusion and highly-soothing, anti-inflammatory therapy for irritated scalps. Run cold water over a clean, white or natural (dye-free) cotton towel. Pour VCO on the towel to create a cold-oil compress. Dab gently on skin or gently leave over affected areas. For severe reactions: with your physician’s guidance, take an aspirin or other anti-inflammatory medication and an antihistamine. IMPORTANT: If your reaction is a flare-up due to atopic dermatitis, psoriasis, herpes or another skin condition, do not apply anything on the skin without first consulting your dermatologist. During an active flare-up, even plain water can burn or sting, so it’s best to proceed with your physician’s directions. This process is considered best practice whenever introducing any new product. - For products meant to be washed off quickly such as shampoos and cleansers: apply a tiny dot of it on the underside of your wrist or inner part of your elbow. If it reacts immediately, quickly wash it off with water. If no reaction occurs, leave on and observe your skin for about a minute and wash it off with water. As soon as a reaction occurs, wash it off. If no reaction occurs, continue with the following steps. - For products not washed off such as creams and sunscreens: follow the same steps as above, but if no reaction occurs, keep it dry and observe your skin for a few hours (or up to 72 hours to be extra safe). As soon as a reaction occurs, wash it off. If no reaction occurs, continue with the following steps. …Use the cleanser one night, then stop for 3 days. Observe your skin. …If your skin shows no reaction, use the cleanser for 3 nights in a row. …If your skin does show a reaction, stop using the cleanser and either see your dermatologist for a patch test, or re-start the 7-Day Skin Fast from the very beginning, and when you get to this point, try this step with a new cleanser ( contact us for assistance). …If your skin shows no reaction after 3 straight nights of using the cleanser, use it 2x-a-day for 3 straight days. Observe. 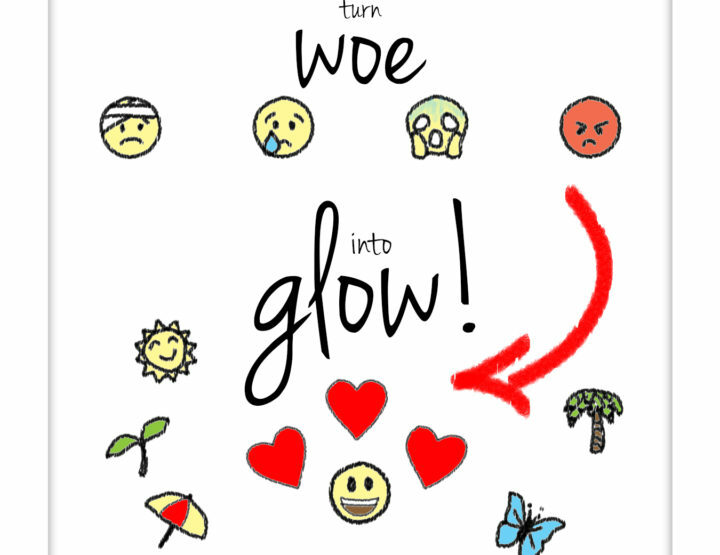 …If the there is no reaction, repeat these steps with your next product, such as your sunscreen. …Repeat this process with each product, one-at-a-time, with at least 3 days in between, slowly observing your skin as you go. 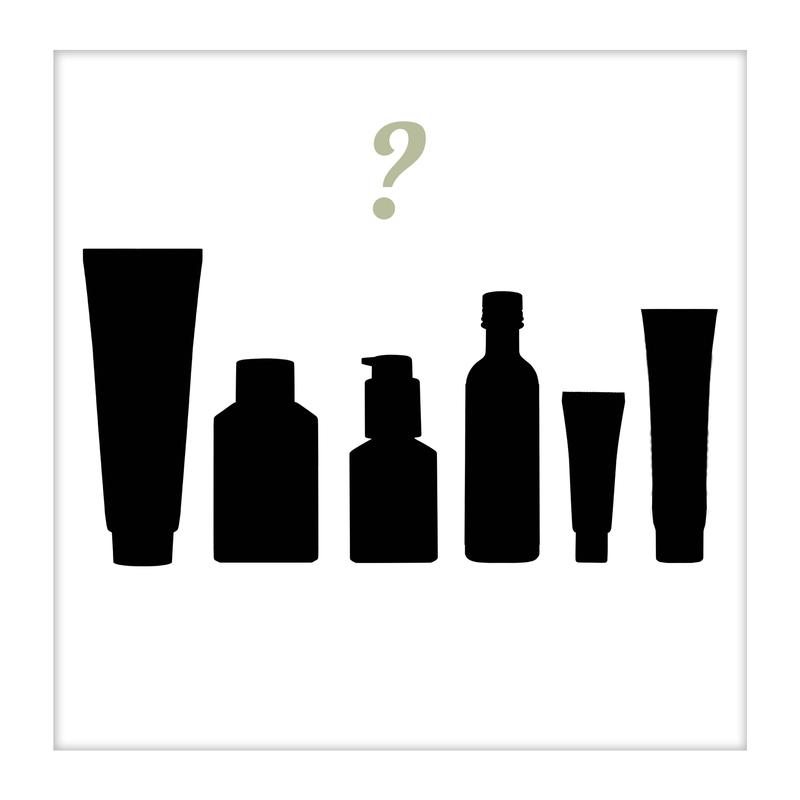 IMPORTANT: As you slowly add products remember to add one product at a time, with 3 days in between for observation. See next step for a suggested simple regimen that you can try after completing your Skin "Detox." ...after your 7-Day Skin Fast. 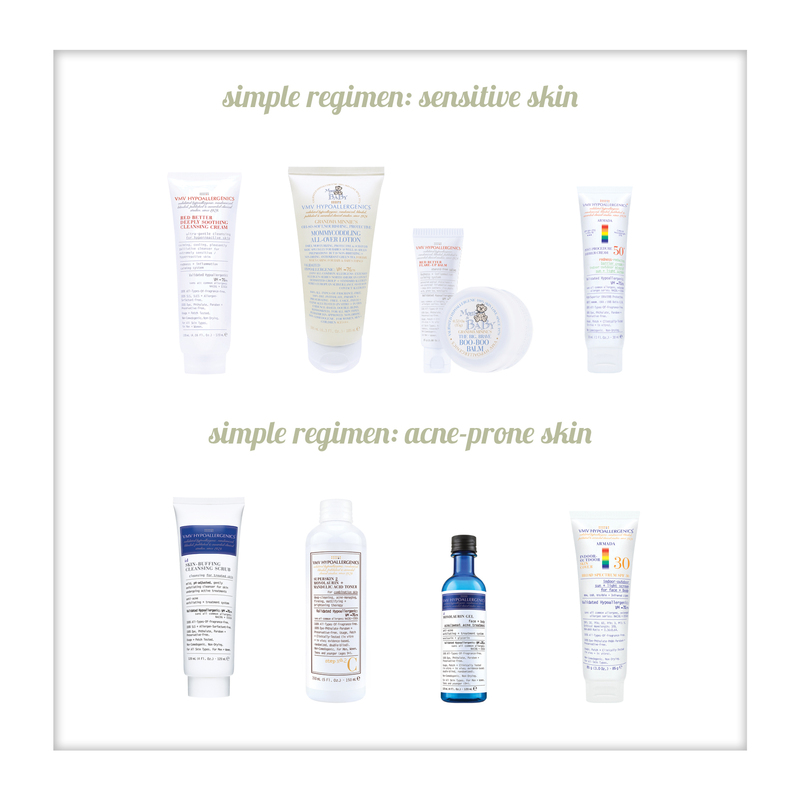 Using the process described in the previous step to slowly introduce new products, try either of these simple regimens. NOTE: Many people with oily or acne-prone skin find that Armada sunscreen provides them with enough moisture. This optional step is if you feel you need additional moisture that also provides anti-acne therapy. …the importance of prevention. Select from our dye-free makeup options, and stick to our non-comedogenic, hypoallergenic, Shampoos and Body Washes , Conditioner , and other preventive care products. - Contact us for suggestions (just remember: add each new product slowly, following the instructions in the previous Step-By-Step Guide). …When re-starting multiple products with active ingredients, go extra slow and re-start each product at the very beginning, slowly increasing: again, you should not achieve once- or 2x-a-day applications until week 8 of therapy at the earliest. This means that while you may be at once- or 2x-a-day applications of your Toner already (for example), you may not get to the same application frequency of your other active products (such as your creams) until week 16 or later.